Commitment of Traders latest charts. The professionals (large SP contract) increased their long positions again this week from 1.5% to 2.5% of total open interest. The Better COT indicator shown above also includes a red line that shows the difference between the large contract professionals (the "true" professionals) and the small contract professionals (Emini). When the red line is rising, as it did this week, the large contract professionals are becoming more bullish than the small contract professionals. You'll notice that this often gives advanced warning of turning points. 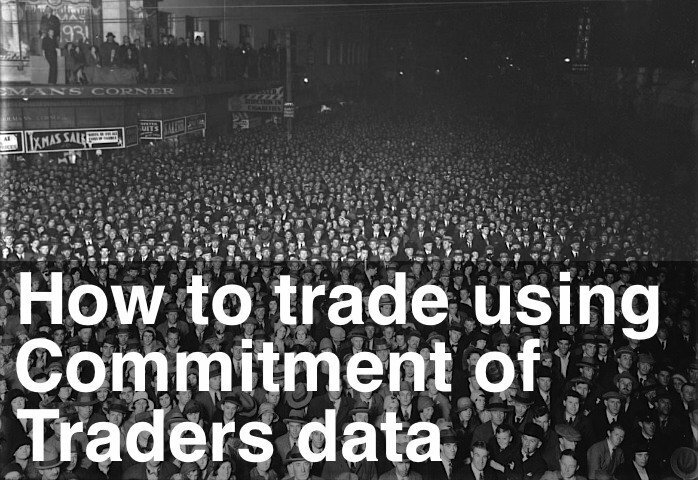 This addition to the straight measurement of the Commitment of Traders data came out of research that showed that the large contract professionals were a more reliable indicator of future turning points than the small contract traders. The Commitment of Traders Oscillator shot below the zero line this week and reached -56. This now confirms the last high turning point – the week before last at 1,441. The question is how long we'll now spend below the zero line. Technically we're in the buy zone and looking for signs of strength. Quick turns of the Commitment of Traders Oscillator are rare though – occurring only 10% of the time. Last week we found support at 1,375 and, as the last post discussed, we're now in an up trend. The next couple of days will be critical – if we can hold above 1,405 the up trend is strong and we could be on our way to higher highs rather than testing March lows.